Since 1978 Real Estate Weekly has been synonymous with outstanding coverage of the Greater Vancouver residential real estate market. Today, published with recycled newsprint from its own high-speed presses in Vancouver, Real Estate Weekly is delivered by British Columbia's largest courier force to over 91,000 homes across the Lower Mainland. 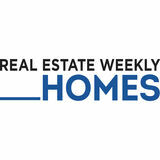 A total of 3 separate editions comprise the Real Estate Weekly, each featuring homes for sale, new developments and quality editorial coverage of the housing industry and the communities. Real Estate Weekly, quite simply, lists more homes for sale from more Realtors than any other publication in British Columbia. Real Estate Weekly is the number one source for Lower Mainland residential real estate and the first choice of both homebuyers and Realtors for more than three decades.